Head of Aristogeiton (Baiae cast). Plaster cast: Height: 21.6 cm, Width: 10.6 cm. 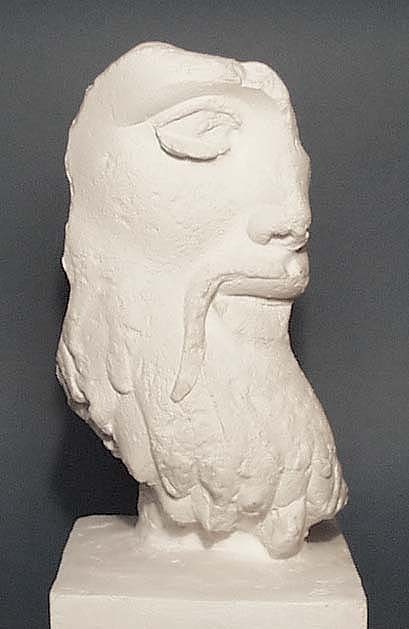 Copy of a plaster cast head. is a Roman copy of an early classical original of about 480-470 BC,. was found in a cellar room in the Baths of Sosandra at Baiae (modern Baia). is now in Baiae, Museo Archeologico dei Campi Flegrei, 174.479.